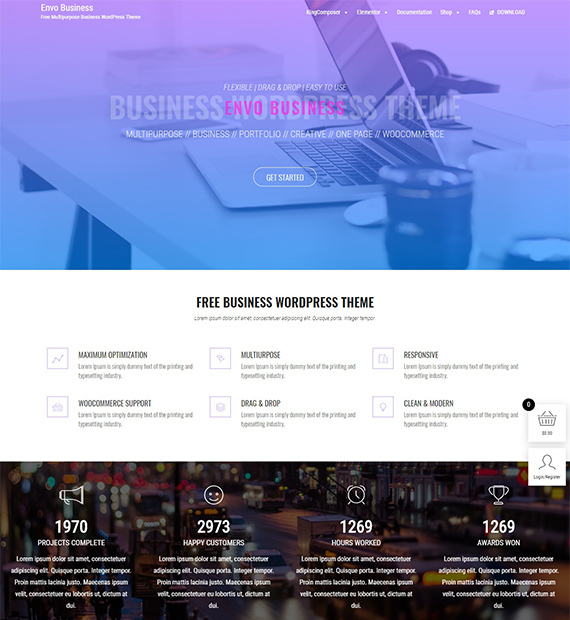 Envo Business : Free Multipurpose WordPress Theme - Beautiful Themes! Envo Business is a free multipurpose WordPress theme that is perfect for building different types of websites. This theme is fully responsive that adapts all the screen sizes. It is fully compatible with the WooCommerce plugin that helps you to build an online store easily. The theme includes drag and drop page builder which is an easy way to customize your site. You can translate the language of your choice on your site. And it comes with full documentation where you can find step by step tutorials.